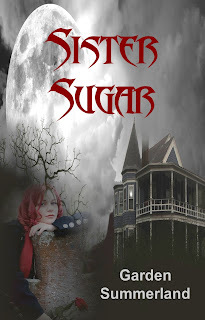 I would like to introduce, Sister Sugar ~ my latest release & my first YA novel! Please stop by Amazon or Smashwords and download a free sample! And if you are on Goodreads please add me to your "to be read" list! Thank you all so much for your encouragement & continued support! 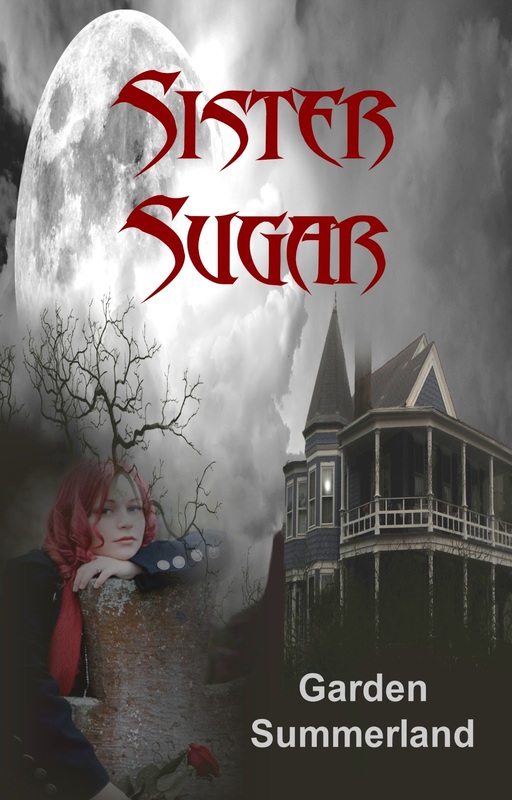 For fifteen years, Sugar Cristea has been raised by a creepy family of elderly sisters called the Serviance. They are healers; witches bound in service to the vampire royal family, the Greys. The Sisters have kept Sugar hidden away from modern society, grooming her to carry on Cristea tradition. But for as long as she could remember, Sugar has longed for a life outside the gates of Ravenscleft where the Sisters have kept her under constant scrutiny. Then one day a local Gypsy boy wanders past the manor and Sugar is instantly smitten. He is her first boyfriend. But men are forbidden on the estate grounds, and when his body washes up on the beach a short time later, Sugar is heartbroken. Blaming the Sisters, she vows to escape her family of captors. Her salvation comes in the form of Emilian Grey, the young vampire prince who has fallen in love with her. He has been watching over her, protecting her... and waiting for her. And he will share with her the secret of her destiny - that one day, she will fulfill an ancient prophecy; this lowly servant girl shall become a queen; the Queen of the Kindred. It was difficult to breathe. If I was dreaming, I didn't ever want to awaken. I carefully brushed the blond wisps of hair back from his forehead, away from his eyes. My heart and my body ached from the night's fervent consummation. I lay back on the pillow and basked in the afterglow of the fulfillment of my long suffering desire. I had been watching him sleep for almost an hour. Mesmerized by his beauty as I had been from the very first day I'd met him. He slept soundly, his face, as always, peaceful and innocent. I bathed in the memories of our night of ecstasy, hot and rough, tender and sweet, his skin hard against mine...burning. I could still taste his saltiness; I wanted more. I leaned over and kissed him on the cheek. He didn't stir. I wanted to snuggle in next to him, lay my head on his chest and revel in the sheer pleasure of lying next to someone I'd been fantasizing about for several years. The culmination of my secret desires had been a night of unbridled passion, both of us intoxicated; he with wine, me with the anticipation that it was going to be the night. I vividly remembered every detail. The music was intolerably loud; there was a karaoke machine and bar lights flashing off and on in tune with the beat. As soon as I walked in, I was hit with the smell of cigarettes and beer; and lust. There were couples lined up against the wall making out; it gave me so many ideas. I scanned the crowd for his spiky blond head. It was a three room cabin, and there were too many people there, as usual. For them, it was just another weekend party of dancing and drinking. But for me, there was Dante. It was a sweltering night, and he was crouched in a corner, his hands clasped tightly over his ears, his eyes closed trying to shut all of it out. Sometimes he couldn't stand the light and the noise and he'd just wander away into the night, so I knew he'd want to go somewhere quiet and dark. Conveniently, I had just such a place available; another cabin just a short hike through the woods. And I would be right there with him. There was a half empty bottle of wine on the floor next to him. As soon as I saw it, I knew just how easy it would be to get him into bed; he had no capacity for alcohol. I'd learned that early on. We had been friends for as long as I could remember. Nothing romantic; not ever. No kisses, no hugs, nothing. Friends with no benefits. Of course, I'd kept my feelings well hidden, I was nothing more than a buddy to call when he was too drunk to drive, and a shoulder to cry on when he'd been dumped, which surprisingly happened quite often. I'd spent many long nights with a six pack and a box of Kleenex sitting on the foot of his bed, running through a list of his positive attributes, and trying to explain away why he'd ended up heartbroken once again. All the time fighting the overpowering urge to scream out that I was in love with him. If I'd ever thought he was drunk enough, I'd planned to make my move. And then he'd start crying, and lamenting over his lost "love" and my plans became lost in consolation. But now, finally, the timing was right. I'd never seen him drink so much. He'd finished off the bottle of wine he'd had and I had swiped another one from a cooler on our way out the back. He quickly downed it as we walked through the woods. He seemed intent on drunkenness, and I had no desire to stop him; I had plans of my own. I'd led him back to my cabin, a mile up from the party lodge. It was dark, and quiet... and just how I had imagined it would be. Our first time. My first time. I wasn't sure of exactly what to do, but I'd heard enough of his stories to know what not to do. And knowing him as I did, plying him with alcohol was the way to go. I didn't feel like I had taken advantage of him, I was certain that deep down, he was in love with me too, he just needed that extra push. And I had given it to him. He wouldn't be mad; no way. I brought my focus back to the present. I was apprehensive about waking him up. Would he be embarrassed? Or too hungover to even comprehend what had happened between us? My fantasies had only taken me into the moment, the actual act, not the aftermath. I hadn't made a plan for that. Maybe I should just leave before he awakened. Avoid any awkwardness. That was it. I eased out of bed and grabbed my clothes off the floor. The boards creaked as I made my way to the bathroom, but he didn't move. He hadn't moved for a long time. He had been really drunk, he probably wouldn't even remember what had happened. And maybe that was for the best. I slipped on my shoes, grabbed my bag and slipped out the door without even looking back over my shoulder. It seems just like yesterday, but it's been over a year since our night in the cabin and nothing has changed. I am still in love with Dante and he still doesn't know. Does he remember the night we spent together? I don't know. I suppose I will never know. He has never mentioned it, and neither have I.
Emma never expected him to care. And then he did. He left her speechless when he said those words. And then he left; he left her alone to puzzle over his declaration of love, to over analyze it and pick it apart. He gave her time to rehearse her response over and over again inside her head. But then he left her waiting a little too long; and she never knew why. 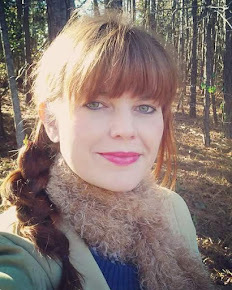 He disappeared from her life with no explanation; no phone call, no letter, no e-mail. He was just gone. It seems just like yesterday, but it has been almost a year now. And deep down, she knows that he isn't coming back. She really never expected him to. It would have been too good to be true. But even so, she had to be honest with herself; she knew that a small part of her would always be waiting for him to return. Always wondering what happened to him, and always replaying his words inside her head. She still wonders if maybe, just maybe...he sits and ponders her words; the words that she still writes for him every day. She wonders if he reads her blog, and the poetry that pours from her memories of the conversations between their souls. Or perhaps he has forgotten about her, and the words he spoke just once so very long ago. She will never forget them. And she will never forget him. It seems silly to even think it now, but she still loves him. And these are her words to him. I know you don’t mean to. and I imagine your voice. There is nothing to justify. But I will never tell.